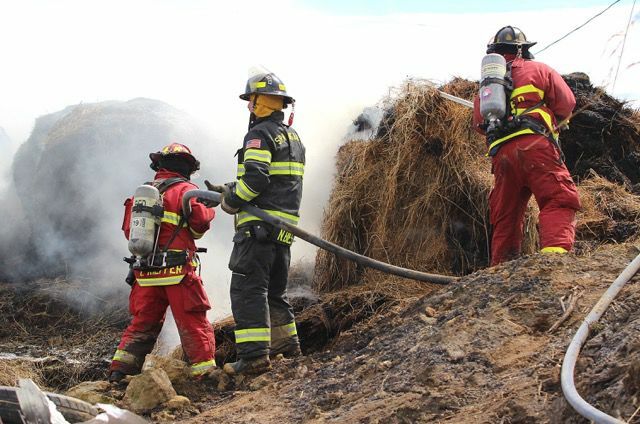 Fire fighters from both Bellevue and Springbrook Fire Departments, as well as firemen from Miles and Preston, were called to the Dale Sprank farm at 15821 435th Avenue, just off the Preston Highway to extinguish 30 round hale bales that caught fire Tuesday afternoon at approximately 1:15 p.m. 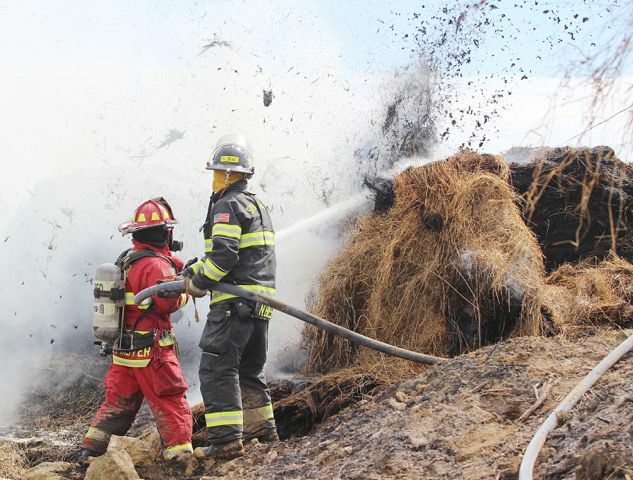 The bales were located near a building, so crews rushed in quickly to get the job done, and remained on the scene for several hours, with tanker trucks running back to Bellevue to get more water. Emergency responders were on scene for about four and a half hours.